Strong, durable build providing a long lasting product life. Designed to be slip resistant enhancing users grip. Conforms to EN ISO 20345 & EN345:1:1993. Leather Waterproof hiker. Padded tongue and collar. Breathable lining. Protective steel toe cap & steel midsole for extra protection. Shock absorbing heel, lowers chances of future back stress related injuries. Chemical & Oil resistant materials, perfect for any rough condition. Waterproof lining helps maintain dry feet in harsh conditions. Improved comfort with the padded boot collar. Provides Toe & under foot protection. Sizes range from 3 - 13, with a safety rating of S3 - WP. Conforms to: EN Test CE EN ISO 20345 OR EN345:1:1993 S3. The Apache AP305 is a top of the range, safety rigger boot. Made from oiled leather, these boots offer maximum water resistance, the fleece lining provides warmth and comfort. Padded ankle area and TPU heel guard for stability. Dual density polyurethane outsole with anti-scuff toe guard. Steel toe caps, steal mid-soles and a padded ankle region ensure your safety. S3 and WR, SRA rated, these Sterling Apache AP305 boots conform to EN20345:1:1993. Advanced work boots rugged and 100% waterproof to let you get the job done no matter the conditions. Metal-Free construction makes them light, flexible, scanner-safe and suitable for metal-free work environments. Dual Density EVA/Rubber sole: exceptional abrasion resistance and ideal for environments where oils and solvents are used. Heat resistant to 300C contact. Sterling SS902CM Cobalt Waterproof Metal-Free Work Boots conform to: EN ISO 20345:2011 S3 WP HRO SRC safety footwear standards. Available in size UK 7 - EU 41 only. Athletic design for these safety shoes that will let you work in total comfort and protect from toe impact and puncture. Padded collar and tongue for an firm and comfortable fit. Dual density Phylon\Rubber sole: lightweight yet hardwearing and ideal for use in a variety of environments. Worksite SS607SM Safety Trainer Shoes Conforms to: EN ISO 20345:2011 SB-P SRA safety standards. 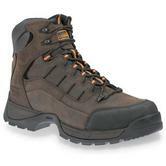 Here you can find some of Sterlings highest quality safety footwear including boots, shoes and riggers. Sterling Safetywear (1998) is an English brand of safety boots. Sterling is known for its tight range of highly functional work boots and good value safety footwear. The Sterling Steel Waterproof Unisex Safety Boot is exceptionally popular ? 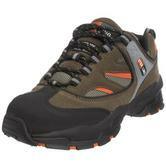 as it is a genuine waterproof safety hiker that is neat and comfortable, yet very reasonably priced. The SS810, as it is known, is lightweight (even though it has a TPR outsole and steel midsole). It is a unique waterproof unisex safety hiker boot - which is probably why we sell 1,000s of them every year. For many more products why not check out our entire Catalogue!